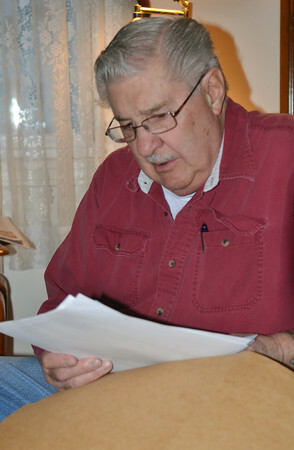 Dale Kalinowski of Ashtabula reviews a letter sent by his uncle Private Henry Kalinowski before his death on Dec. 7, 1941, on the U.S.S. Arizona during the attack on Pearl Harbor. The letter was sent to a girl friend and details his life in Hawaii prior to the attack.